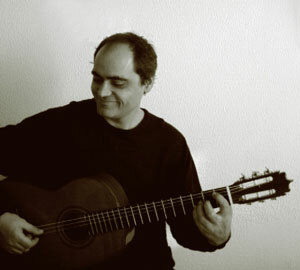 He was born in Granada (Spain) in 1962, where he studied classic guitar, vihuela and renaissance & baroque lute. He learnt music theory at Open University and attended courses and master classes with prominent guitarists such as David Russel. Alma de cuerda – Soul of String – (2010), by the U.S. label Magnatune, an album that is being widely heard worldwide through music platforms such as Spotify or iTunes. Ancient Mosaic with Guitar – Mosaico antiguo con guitarra, also by Magnatune (2011): baroque and renaissance music realized together with the soprano Palmira Irisarri. In 2015, recording of Cántica in collaboration with Cántica Cuarteto. 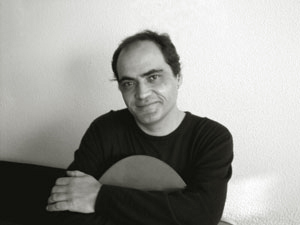 Recently he published (2018) Music of Spanish Gentlemen (Música de los gentilhombres), and he is preparing a new album with his own compositions for poems written by García Lorca. In March 2012, Manuel recorded live for the Spanish TV (RTVE) in a remarkable scenario: aboard the Goleta Sadko, a schooner anchored at Puerto de Santa Maria (Cadix, Spain). Arab baths in Ronda, Malaga (June, 2008); at the closing concert for the I World Music Festival at Malaga University (May, 2009); Bil-bil Castle in Benalmadena, Malaga, as part of the Music for the Soul Festival (September 2012); and at the Salón de los Espejos in Malaga’s Town Hall with CANTICA (June, 2014). From then until today, he has given concerts in many halls of Andalusia, as in Los Acústicos de El Rey Chico and in the legendary La Tertulia (Granada).